Young China Watchers is delighted to invite you to the first official YCW Singapore event on Monday, June 29, 2015 . RSVP here. 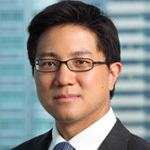 Daniel Hui is currently Head of EM Asia FX Strategy at JPMorgan based in Singapore. He is responsible for research coverage of ten currency markets in Greater China, Korea, South-East Asia and India, forecasting, publishing reports, advising clients, and promoting JPMorgan views in the media. Before he joined JPMorgan in 2012, he was a senior currency strategist at HSBC during which one of his roles was to serve as the firm’s research specialist on RMB internationalization, where besides his client oriented responsibilities, also advised the bank’s senior management as well assisting with the firm’s engagement with regulators in responding to RMB internationalization. His“Offshore RMB – a practical primer” flagship report, published in 2010, was the top ranked Google search result under “RMB internationalization” for over a year following the creation of the offshore RMB market in Hong Kong. Daniel received his Masters of International Affairs at the Johns Hopkins University Paul H. Nitze School of Advanced International Studies (SAIS), where he concentrated in China Studies and Economic Development, during which he spent a year at the Hopkins-Nanjing Center studying and researching under the direction of Nanjing University professors. The internationalization of the RMB – which is approaching an important milestone as it gets ready for inclusion into the IMF’s symbolically important SDR basket – is a central aspect of the overall globalization of China’s financial system. This is on the backbone of a globalized RMB market upon which China is opening up the rest of its capital and money markets. The reasons to accelerate currency internationalization and capital account liberalization go well beyond the geopolitical – recent history has underscored the serious limits to which China’s underdeveloped and repressed financial system can continue to support economic development and maintain macroeconomic stability. The implications of China’s global financial integration are hugely significant. First, the global rise of the RMB is helping the global financial system to evolve away from the current dollar-centric uni-polar system. Even before it becomes a core global reserve currency, the RMB will quickly become the center of gravity and finance for Asian economies in a way that the Japanese Yen failed to achieve three decades ago. International flows of investment capital will dramatically shift as well: Not only will China offer the world’s second largest equity market and third largest bond market for international investors to diversify and gain exposure into what is still one of the world’s fastest growing economy, it will also unleash one of the world’s largest base of savings eager to seek better returns and global diversification.